I wish I had a dollar for every time I’ve told someone what I write about. “Oh, that’s depressing” is certainly the most frequent negative response. Luckily, I don’t hear it too often. I was in New York last week at the Writers Digest Conference. Going to this particular conference in January, 2011, was what really kick-started my writing career. I met people there (and shortly after) who are still trusted advisors and friends. I started tweeting on my way to the conference so I wasn’t the only one there who wasn’t on Twitter. This blog began a week later. Although I haven’t been posting as regularly the past few months, it’s not because I had nothing to say. There were health issues that got in the way, and at times, the self-publication process took precedence. I will be blogging more religiously now, I swear. But I digress. Writers are supposed to have an “elevator speech”: how do you describe your work in the time it takes for an elevator ride? It shouldn’t surprise you that the reaction varies greatly depending on whether I say “I write about grief” or “I write about friendship”. If I say I write about grief, there’s always someone who considers that depressing. No, I insist, it’s not depressing. Some of the stories are sad, but they’re not depressing. They’re about the impact our friendships have on us. That usually appeases them, at least for the moment. Then there are the people who do not have a negative reaction. 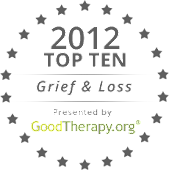 “I write about people who are grieving the death of a friend.” I used to call it the “You know…” moment. I’d tell them what I write about and there would be a pause, Their eyes never left mine, but I could see a spark of recognition. Sometimes they nod, sometimes they smile, but the message is always the same: “Yeah, I get that.” More often than not, they’d say “You know…” and tell me a story about a friend of theirs who died. At the Writers Digest Conference, I spoke with two men: one a former Marine, the other a former Air Force pilot. When I told them I’d written a book about losing friends in the military, they both had the exact, same physical reaction: They straightened up a little more, eyes open a little wider, and nodding slightly they both said, “Yeah…”. That, as we heard in the conference sessions, is what many writers dream of: making a personal connection to their readers. They don’t want to read something theoretical, something dry. They want to read something that speaks to their hearts: something they can identify with and understand. It took me a while to accept that I was capable of writing something that appealed to people. The compliments still surprise me. Unlike the publisher’s rep who told me three years ago that “grief is only going to be big for another two years”, the rest of the world knows that there is no expiration date on a universal experience. There is one thing that’s hard for me. When I’m done with my research, and I’m immersed in putting stories together for a book, there are times when I find myself overwhelmed. It was particularly true with the last book, Friend Grief and the Military: Band of Friends. Although the previous two books (AIDS and 9/11) were also about people who died under horrible circumstances, this one was different. For several weeks, I was grumpy, to put it mildly. I came out of it, and I believe in the end, the book shows not just the unique grief of those who lose friends in war, but how the survivors are able to process their grief, sometimes in very creative ways. The reactions of my readers – and future readers – here on the blog, on Facebook, Pinterest, LinkedIn, Twitter, Google+, in much-appreciated reviews on Amazon and Goodreads, in private messages and in person – are what keep me going. So keep them coming! And thanks for being part of Friend Grief. Hi I found your great blog through the WLC Blog Follows on the World Literary Cafe! Great to connect!